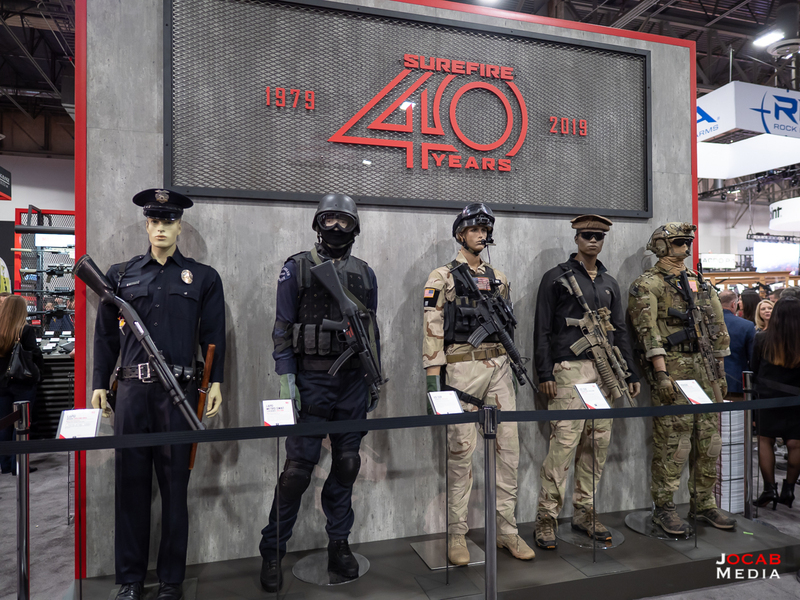 One brand that I have always featured in prior years is SureFire. I know SureFire has its mix of fanboys and detractors who cite how expensive SureFire products are. But I have always been a user of their products and continue to keep an eye on what they are doing in illumination gear. 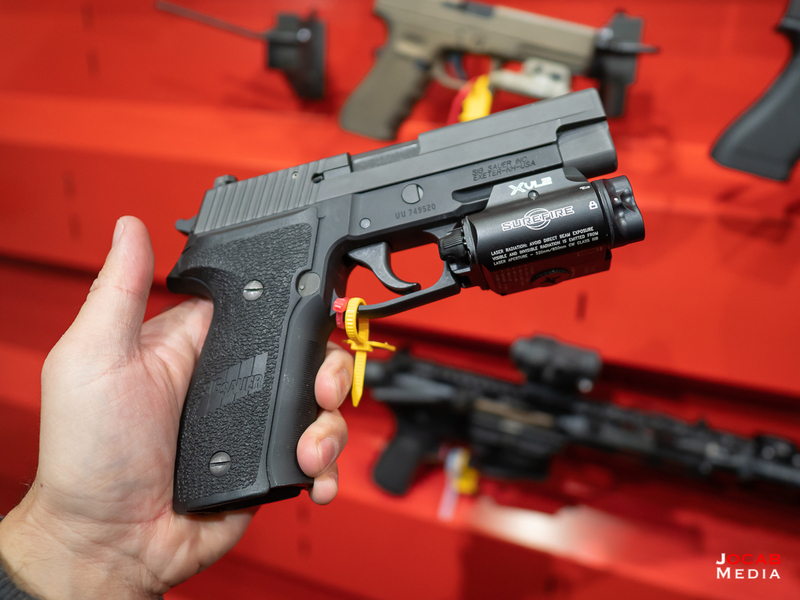 At SHOT Show 2019, SureFire had a few new pistol lights. One of them is the Surefire XR1. The SureFire XR1 has virtually the same dimensions as the XC2 and the XR1 should be compatible with any holster that works with the XC2. 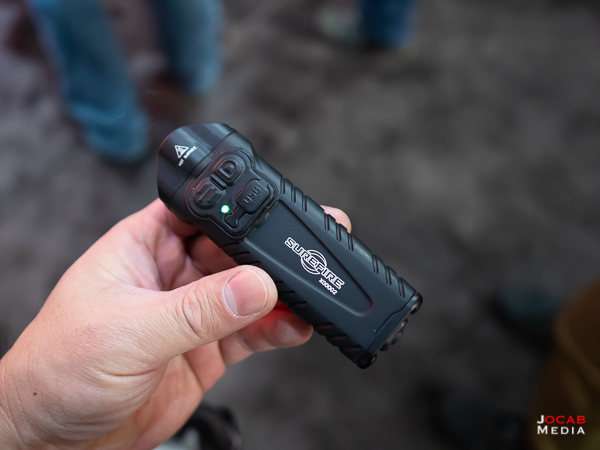 The XR1 pushes 600 lumens with an internal battery that is not designed to be user serviceable. If the battery needs service, the light will need to be sent in. The XR1 will recharge via induction charging. No MSRP currently set for the XR1. But I anticipate that given the XC1-B (300 lumens) is $299 and the XC2 (300 lumens with laser) is $449, I would expect the 600 lumen XR1 to slot somewhere in between. There will also be an XR2, which is the XR1 but with a laser (red or green), and will also have the same footprint as the XC1. The next new item may look like an existing product, but it is actually a new weaponlight. The above SureFire XC2 is actually all infrared with no white light. It will use an infrared illuminator and class 1 infrared laser. This obviously has very specific use cases for civilians running night vision devices. No MSRP is currently set and I cannot speculate on what it could be. The other new weaponlight is the SureFire XVL2. The XVL2 is a white light and infrared illuminator combo weaponlight, pushing 400 lumens of white light or 300mW infrared illumination. Along with the white light and IR illuminator are both a green laser and an IR laser. The two lasers are both co-aligned to zero on the same plane. The SureFire XVL2 operates on a single CR123A battery. It will be available in both a MIL and class 1 civilian version. 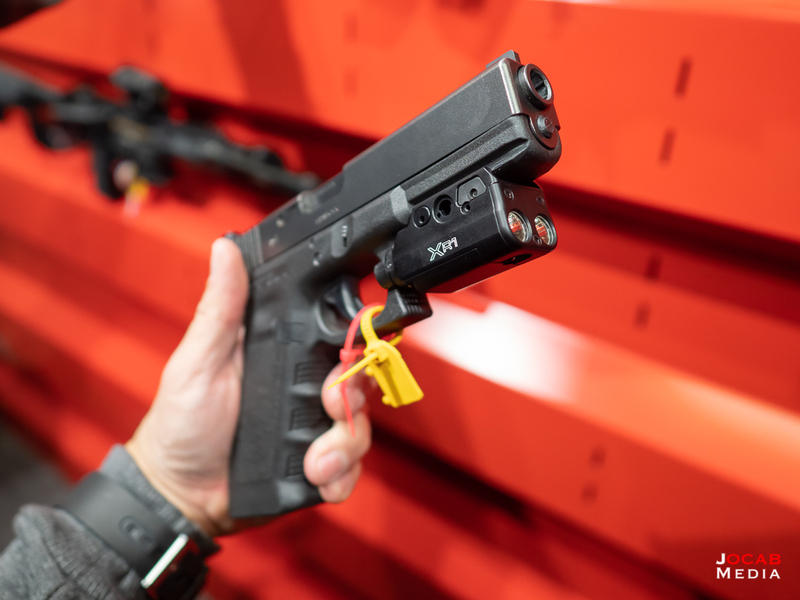 While the MSRP wasn’t given at SHOT 2019, B&H Photo actually has the SureFire XVL2 on their website for $1,299. One interesting new handheld from SureFire this year is an updated Stiletto. This unit has an internal battery that is USB rechargeable. From what I understand, this battery is also not user serviceable and the Stiletto will need to be sent in for a battery replacement when applicable. While it is an interesting product, I don’t see it myself jumping on it for a pocketable flashlight. If it had more strobe capabilities (e.g. programmable intervals) and a glass breaker, I would be more inclined to get one, but I would use it more for a hiking and outdoors activity light, or keep it in the vehicle as a vehicle emergency light. The fact that it is USB rechargeable makes it ideal for vehicle carry (e.g. recharge from an USB phone charger). I do appreciate the non-cylindrical design for this since it can be set down on a surface or leaned against something and resist rolling. The 600 lumen Stiletto is listed at $100, so expect the 1000 lumen version to be slightly more expensive. Some of you may have seen in my previous Range VLOGs or read in a mini-project write-up that I put together a 224 Valkyrie AR upper that has been lackluster so far (granted, I have not experimented with handloads, yet; need to buy dies). 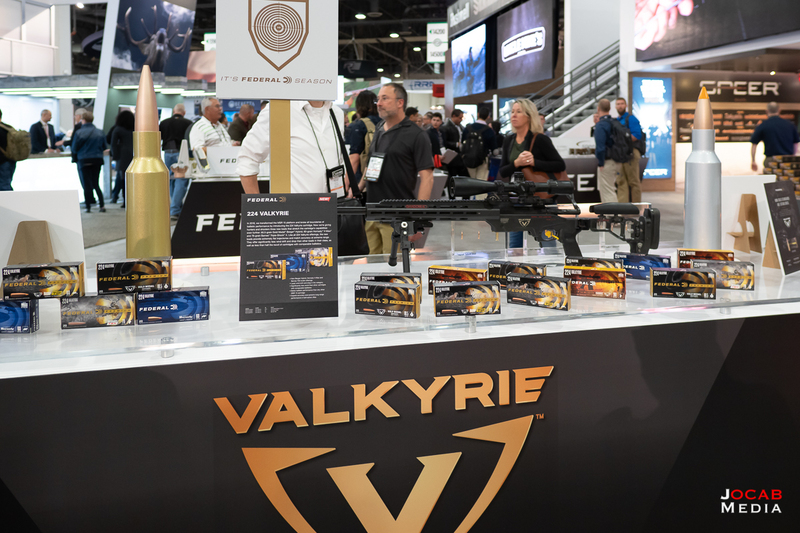 While 224 Valkyrie was relatively low profile throughout SHOT 2019, Federal Ammunition is still all-in on their high speed 22cal pet cartridge. 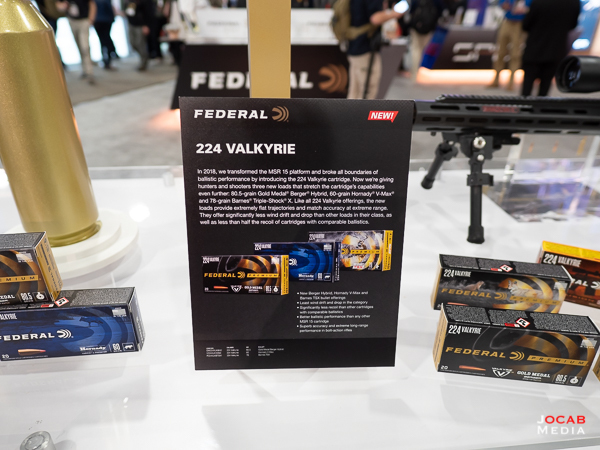 Federal Ammunition is releasing three new 224 Valkyrie loads, two focused on hunting and one on match/target shooting. The two hunting rounds are the 60gr Hornady V-Max load pushing 3300fps at the muzzle and the 78gr Barnes TSX (unknown data). 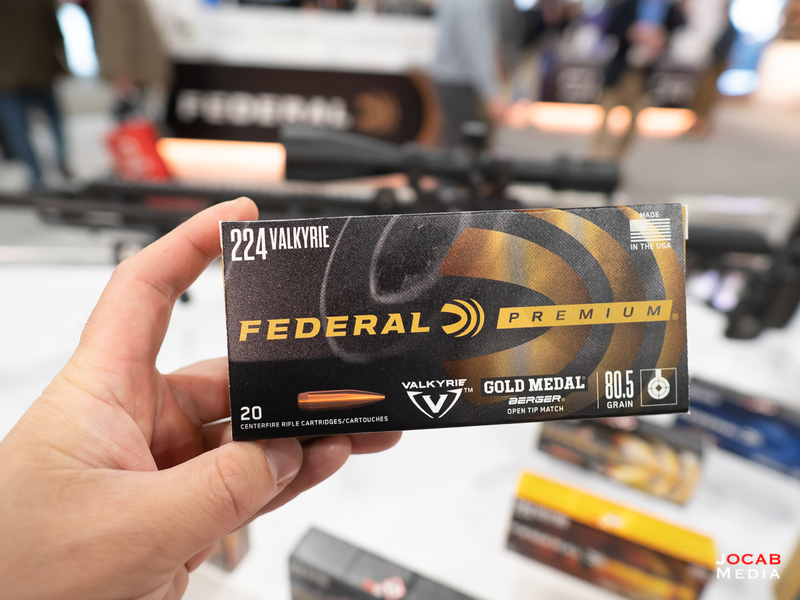 The more interesting one to me is the third new Federal Ammunition 224 Valkyrie offering: the Federal Premium Gold Medal Berger 80.5gr. This uses the Berger 22cal 80.5gr Fullbore BT bullet which is actually quite popular in the High Power Service Rifle community. This bullet actually came out right on the tail end of my competitive Service Rifle ‘career’ and I was an advocate of the Berger 80gr VLD, so I never used the Berger 80.5gr. Federal has this particular factory load moving 2925fps at the muzzle, which is relatively fast for the AR platform. After putting together my 224 Valkyrie upper, I have little enthusiasm to shoot it. But I have not given up on it and will try the Federal Premium Gold Medal Berger 80.5gr when I have the opportunity. Of course, I will eventually buy some 224 Valkyrie dies to try out some handloads. VLTOR did have one AR part that caught my eye and that is the VLTOR Modular A5 Buffer Kit. This is kit is a weight configurable buffer for an AR platform. 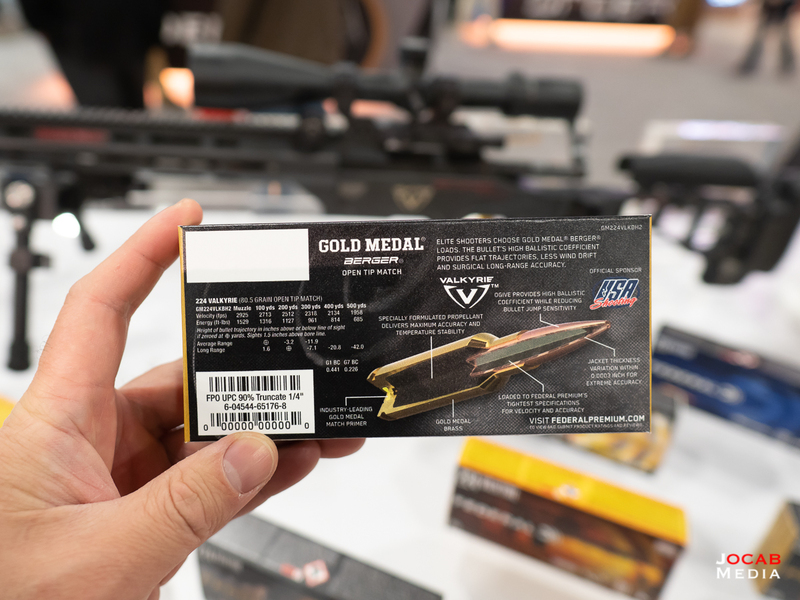 The goal is to provide a buffer that can be fine-tuned specifically for a given rifle (or upper) and load combination. 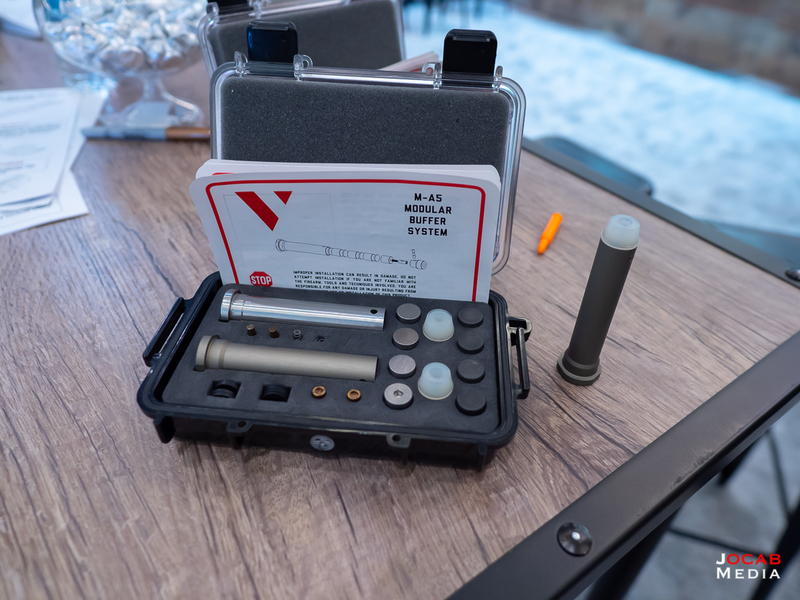 The kit comes with two buffer bodies, one steel and one aluminum as well as two sets of weights, one made of tungsten and one made of steel. This is definitely a niche system that will be more oriented towards AR shooters that have specific load requirements. For example, in High Power Service Rifle some shooters used weights in bolt carriers to slow down the bolt in order to get longer dwell time for the slow fire prone stage. Slated for release around Q2 2019, the MSRP is $140. Of course, this is quite a bit more expensive than the mid-range to higher-tier buffers. But this is a very niche part for the discerning AR shooter. I did want to mention one pistol that I found interesting and that is the Taurus TX22. This is a polymer frame, striker fired pistol in .22LR with a 4.1″ barrel length. The TX 22 has a magazine capacity of 16 rounds. 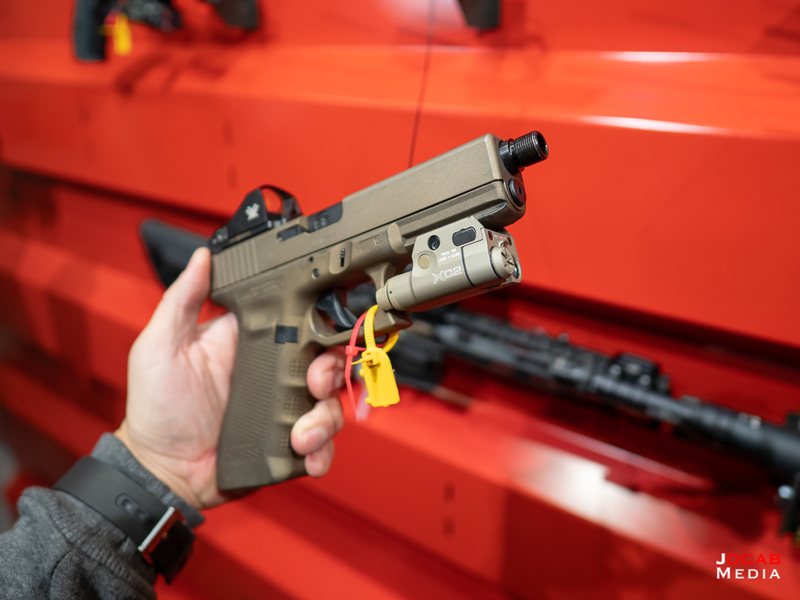 It tears down similarly to a Glock and rendering a frame, slide, barrel, and recoil system. 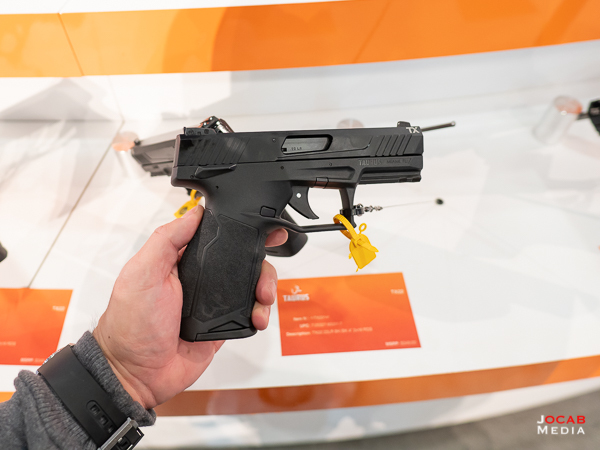 The trigger feels like most any other stock striker fired pistol with a first stage (or pre-stage) with a wall that pulls through to break the trigger. Ergonomically, it feels great in the hand and feels like a standard centerfire service pistol. The MSRP is $349 USD and I feel that the Taurus TX22 will be a solid seller after it is released because it will make for a great practice and training pistol. 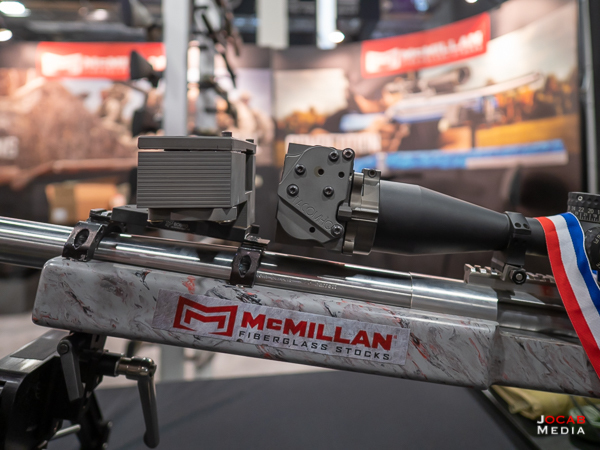 To close out Part 6 of my After Action Report, I will mention a rifle that McMillan had on display. 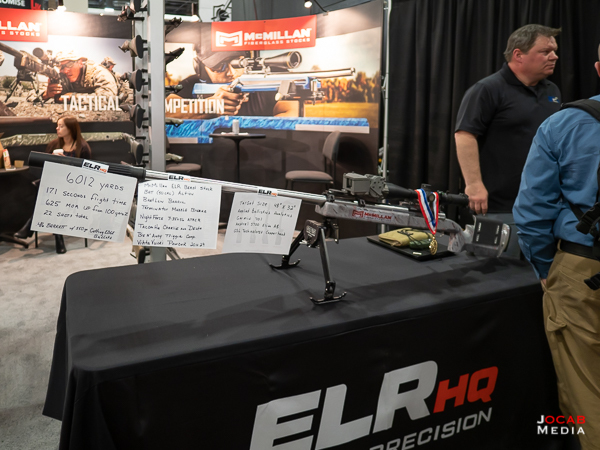 The above firearm is a custom rifle sitting in a McMillan Beast stock which was used by Paul Phillips to make a 6012 yard shot. This shot was made on a 48″ x 32″ steel plate and took 22 rounds to make the actual hit. The TacomHQ got quite a bit of notice when David Tubb used one on his King of 2 Mile rig back in 2017. The fact that a hit was actually made at 6012 yards using a rifle round is a testament to the advancements in marksmanship and equipment that are continuously being made. There is an interview with Paul Phillips and his ELR team members on The Everyday Sniper Podcast where they discuss this shot. 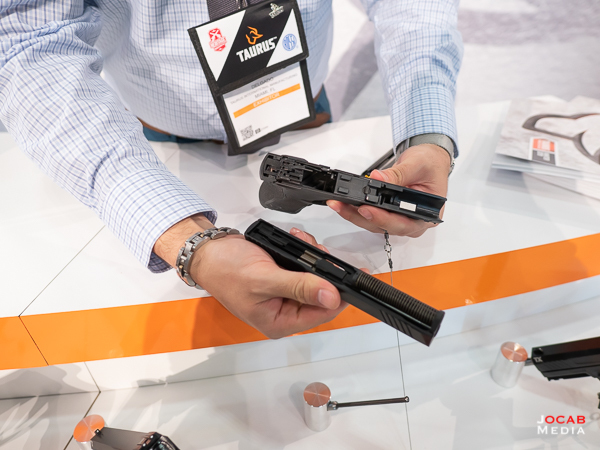 That wraps up Part 6 of my SHOT Show After Action Report. 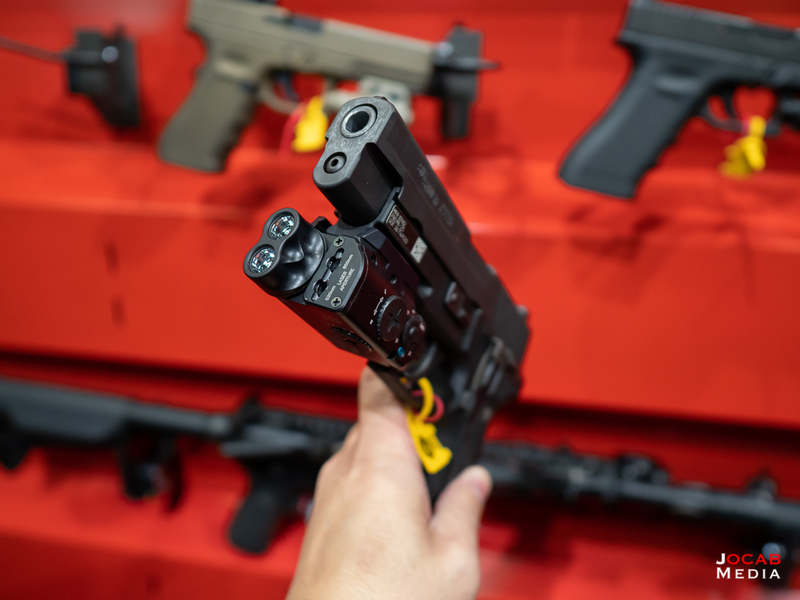 To read Part 7 or any other parts of my 2019 SHOT Show After Action Report, refer to the 2019 SHOT Show After Action Report index page (Part 0). That stream light ir only would work well with a pistol and hand held nv device like the new Aurora camera.